The British and Irish Steam Packet Company (B&I Line) was a steam packet and passenger ferry company operating between ports in Ireland and in Great Britain between 1836 and 1992. It was latterly popularly called the B&I, and branded as B + I line. 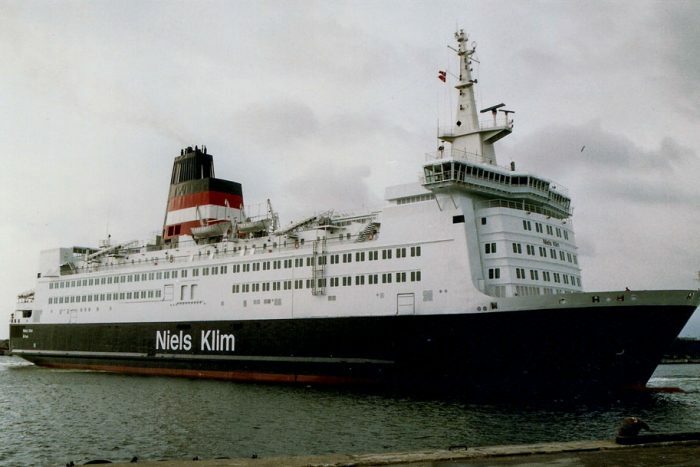 The company ran into major financial problems in 1981, this and labour disputes persisted into the early 1992 when the company was privatised and taken over by the Irish Continental Group, today trading as Irish Ferries. MV Al Mansour, ex Reine Astrid (II), Stena Nautica, Hellas, Stena Nordica – Steel twin screw motor vessel built by Rickmers Werft. GmbH, Bremerhaven in 1975 (Yard No. 382) for Stena Ab, Goteborg as a roll-on roll-off car and commercial vehicle ferry.